A remarkable owner who manages, with his wife Hélène, and his son Vincent, a beautiful vineyard built up patiently over the years and which now covers 37 hectares, including about 10 in Premiers Crus aand others in Chablis, Petit Chablis and grand cru, including a fantastic Valmur, one of the greats in Chablis. Gérard Tremblay is meticulous, hard-working and devoted to quality. This tenacious chap makes his wines using all the modern techniques in the name furthering traditional know-how. His strength is that he takes just as much care with the maturing of his Grands Crus as of his Chablis. In blind tasting, many would get quite a surprise at the quality of these wines. The Petit Chablis is rounded and flowery with very expressive primary aromas, whereas the Chablis is more fleshy, full-bodied and long with very strong character. 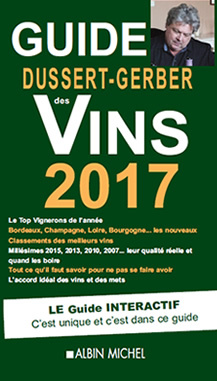 Chablis 1er Cru "Beauroy" has great finesse and good harmony, the Chablis 1er Cru "Côte de Léchet" has a complex nose in which dried fruits dominate. Fresh, very rich aromas in the mouth. The 1er Cru "Montmain" has a fine, complex nose, very long in the mouth. The Chablis 1er Cru "Fourchaume" is the must of the winery - the nose and mouth are charmed by all those aromas of honey and white flowers, as well as the great length in the mouth. The Chablis Cru "Valmur", often splendid, has a very typical nose with a blend of power and distinction. In the mouth, it is fleshy and suave with gentle aromas of honey and good length.